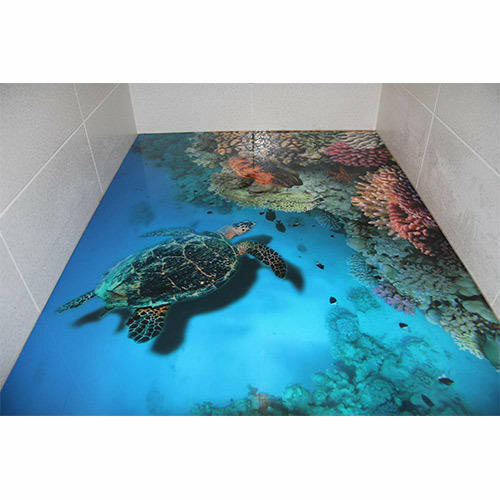 Our company holds vast experience in this domain and is involved in offering 3D Flooring Service. Catering the never ending demands of market, we “High Tech Solutions” was commenced as a Sole Proprietorship based entity. Incorporated in the year 2017, the company now possesses a rich industry experience of trading and wholesaling an array of qualitative products comprises of Tile Adhesive, Construction Adhesives, Color Enhancer, Stone Care Polish, Epoxy Coating Material, Joint Sealant and more. Being headquartered at 4th Block, Bengaluru, Karnataka, we have managed to carve a niche for itself over the years in this competitive industry. Through the regular and reliable delivery of merchandises at the most marginal prices and on time delivery, we have commenced ourselves as a consistent and esteemed player in the marketplace. Beside that, we are enriched by our vast industrial experience in this business, involved in rendering Flooring Service.